Each year group scheme includes a set of skills and criteria that should be covered during the year on each of the 5 key areas of painting, drawing, print making, textiles and sculpture. Each term must include painting and drawing and either one of, or a combination of, the other areas ensuring that all are covered during the year. Art is about more than being able to paint a picture or create a sculpture; it is about understanding the world around us and our place in it. 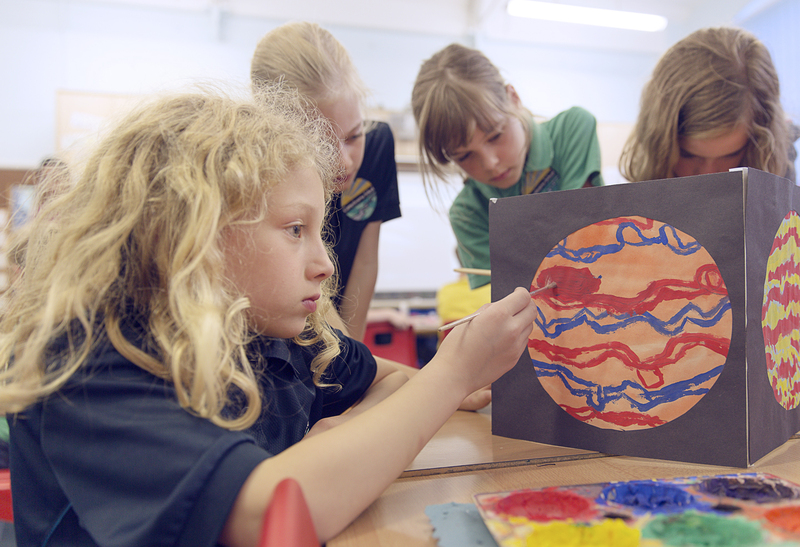 During art lessons we are teaching our children to explore their understanding of the world and to express that through their art work using a range of materials. They also learn about a number of significant artists, their work and what it tells us about their view of the world when they were alive. Teachers choose artists from a range of periods depending on what they are learning about in other subjects and also depending upon what exhibitions are on display in the many art galleries of London. Each term must include painting and drawing and either one of, or a combination of, the other areas ensuring that all are covered during the year. These can all be applied to a variety of contexts relevant to the theme or topic being studied that term. Assessment should be ongoing particularly for painting and drawing. Please note that some of these criteria can be met by simply completing the given activity whilst others refer to the quality or level of skills applied.